Easy to grow, caring for a Liberty apple tree starts with locating it in the right spot. 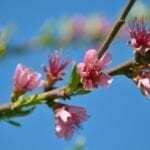 Plant your young tree in loamy, well-drained soil in full sun. Hardy in USDA zones 4-7, Liberty apple information calls this tree a prolific producer. A semi-dwarf hybrid, Liberty apple trees produce substantial crops in the home orchard or landscape. Resistant to apple scab and other diseases, Liberty apple growing provides big, red fruits that generally are ready for harvest in September. 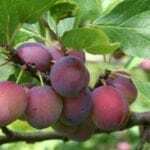 Many grow it as a replacement for the McIntosh apple tree. 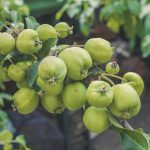 Learning how to grow Liberty apples is not difficult. 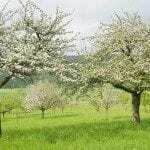 Once you plant your apple tree, keep it watered in well until it develops a good root system. Prune the young tree to a single trunk for best long-term growth. Head it back each year. Prune branches and thin out those that are damaged or growing in the wrong direction. Remove narrow-angle branches, any upright branches, and those that are growing toward the center of the tree. Unpruned trees do not grow as well as those with proper pruning, and in the event of drought, they might not grow at all. Cutting back apple trees stimulates growth and directs energy to the root system that likely was damaged during digging and replanting. Pruning helps shape the tree for maximum production in a few years. You’ll want to keep a balance between the root system and the tree for the best growth. Late winter is the appropriate time for pruning, during the tree’s dormant period. Depending on where you purchased your Liberty apple tree, it may have been pre-pruned. If so, wait until the following winter to prune again. 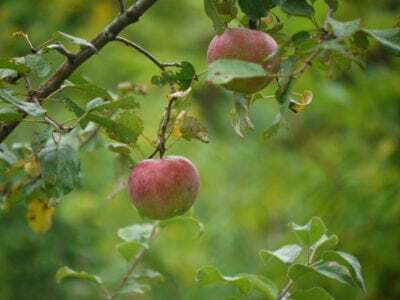 Other care for the Liberty apple tree includes planting another apple tree nearby for purposes of pollination. Existing apple trees in the area will likely work. When planting young trees, cover the planting area with shade cloth in spring to keep roots cool and hold down weeds. Take a soil test to determine which nutrients your newly planted trees need. Fertilize accordingly and enjoy your apples.